Who Are Vale Carpet Cleaning? Vale Carpet Cleaning company is a local family run business with locations in Barry, the Vale of Glamorgan and Cardiff. Our carpet cleaners are qualified by the IICRC (The Institute of Inspection, Cleaning and Restoration Certification). We also have full public liability, so you can be rest assured your carpets are in safe hands. The method used is hot water extraction to clean the carpets. This is the most effective method of cleaning carpets and the majority of manufacturer recommends it. You can see how we clean carpets here. The process involves the spraying of warm water combined with a carpet cleaning agent. The water spray forces deep into the carpet, and as compared to the other methods of carpet cleaning this method provides a deep thorough clean. 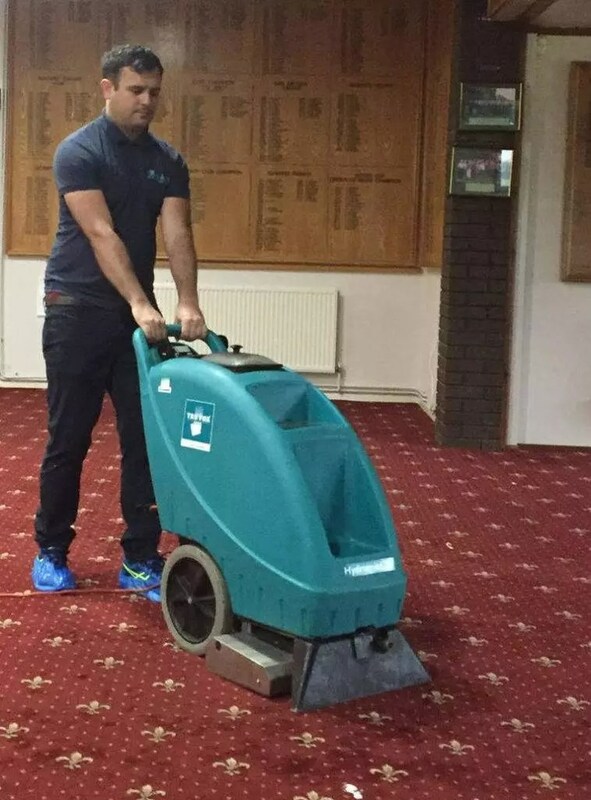 As the water penetrates the carpet fibres and it is agitated the soil and dirt rises to the surface and our powerful extraction machines remove the dislodged dirt and rinse it clean. Unlike many other carpet cleaning companies we don’t cut corners. We utilise a thorough process of cleaning your carpets.